As someone who had been anticipating the Moto X since I first heard about it, I’ve been extremely disappointed by the details released at launch. It went from a great value with unique differentiators, to an expensive Motorola catastrophe. I’d like to create a timeline from my perspective of the development of rumors to the release of the Moto X phone. Initial reports referred to the Moto X as the “X Phone”. Motorola Mobility had been purchased by Google in 2012, and had yet to produce any significant products under Google’s wing. This “X Phone” was to be the first Google + Motorola phone, and was rumored to be a superphone that would blow us all away. Initial rumors were sketchy: I read various reputable news sources reporting rumored specs of a water resistant phone with a 4.8” nearly unbreakable sapphire screen, carbon fiber back with rubberized corners, and an impressive quad core Snapdragon 800 processor running at 2 GHz paired with a jaw-dropping 4000 mAh battery. We also knew that Motorola had a new facility near Fort Worth, TX where they planned on assembling these phones. Soon after, we were disappointed to hear the rumored specifications had changed to a 1.7 GHz dual core Snapdragon S4 processor, and that the phone would have a 720p screen (rather than the 1080p that was becoming standard on high end phones). I saw this as a tradeoff, figuring Google was doing what it has done in the past with Nexus devices. That is, make a device with respectable mid-range specifications to sell at a reasonable off-contract price so that consumers could purchase one whenever they feel like. I was content with this tactic, though personally I would have preferred something with the best possible specs. We then started seeing leaked images of the phone, and heard about a variety of different sensors that would be packed into it to give it unique abilities and features. At this point we already knew what the phone would be called: the Moto X.
I thought these sensors were cool – that the features would be interesting, but I was more interested in the specifications and pricing. What I was hoping to see was a Nexus device that was not simply created by a partner of Google, but rather made by Google (which owns Motorola Mobility). This would allow them to be uncompromising in their design, giving them the ability to really strive for excellence. Soon, more rumors began to fly. I heard that this Moto X would be customizable, and that was part of the reason it was being assembled in the US. It sounded like Google would let customers choose various specifications of their phone when purchasing a Moto X, much like a laptop. This was exciting, as it was something never before done. Even if we wouldn’t be able to choose the processor or battery, we might be able to choose how much RAM it came with, or how much storage space it had, or what screen resolution you wanted. Even if it would be more expensive, being able to customize your phone would certainly be worth the extra expense. Unfortunately that rumor was short lived. It quickly became apparent that while Google and Motorola intended to let users customize their phones, they meant only aesthetically. Customers would be able to choose the color and possibly the material of the phone’s chassis, and get it engraved as well. This was certainly a unique approach, but one that ultimately provides no value. A large percentage of people end up covering their phones with a protective case anyways, making the customizations completely pointless. I was nervous at this point, because I was concerned that these customizations would add cost without adding value to the phone, though I was fairly confident that Google wouldn’t be silly enough to heavily impact the price of their upcoming flagship phone with something as ridiculous as superficial customization. I believed that they would provide the color customization options without increasing the price of the phone. It should be mentioned that at this point, analysts were fairly confident that the Moto X would be priced between $200 and $300. In my opinion, if Google and Motorola could offer those customizations while keeping the phone in that price range, it would be a nice (if useless) differentiator. As time went on, more about the phone became clear. We were quite sure it would be running the dual core Snapdragon S4 mentioned before, and it would have 2 GB of RAM, a 4.7” 720p screen, it would be offered in 16 GB and 32 GB variants, it would have NFC, Bluetooth 4.0, and 802.11ac WiFi. At this point, I was somewhat annoyed, as the idea of having a phone without a microSD card slot seems like nothing more than a ploy by the phone manufacturer to squeeze more money out of the consumer while providing less value: “Oh, you want to store music on your phone? Give us another $50-$100 and we’ll add another 16 GB. Too bad you can’t change your mind later; we don’t give you the choice.” I was not surprised by this though, as Google has been idiotically eschewing microSD card slots on their devices for a while now, on the laughable premise that microSD cards “confuse” consumers, and so the solution is to not even give them the option. Thanks Google, I really enjoy being told I’m too stupid to understand the concept of having my data stored in one of two places, especially while you’re trying to sell me on this idea of “cloud storage”, which is a much more confusing/complex concept for a layperson to understand than a physical storage device like a microSD card. Again, this wasn’t a deal breaker to me. I still saw it as an opportunity for a new Nexus-like device that would be carrier unlocked, with better specifications than the Nexus 4, at a very reasonable price. This was especially important to me, because as a Verizon customer, I haven’t even had the option of buying a Nexus phone since the Galaxy Nexus. I was still excited to buy a phone at a reasonable price that would work on my network, that despite not having top end specs for CPU, RAM, and storage, would at least have the latest in connectivity: Bluetooth 4.0, NFC, 802.11ac WiFi, and 4G LTE. By now the rumors had already leaked about the extra features Google and Motorola had been teasing us with: an always-on microphone that would allow users to speak commands anytime, an “Active Display” that would allow users to check notifications by activating only the necessary pixels without having to turn on the entire screen, Motorola Connect which would allow users to sync texts and phone calls with their computers and would also provide lost phone tracking, Motorola Migrate which users would install on their previous phone, and it would transfer all the phone’s data to their new Moto X, and finally, Motorola Assist that would detect certain states of the phone and act accordingly (e.g. when moving above a certain speed, it would assume you’re driving and would put the phone in “Driving Mode”). These features seemed like cool extras, though it would be hard to justify them as selling points. I saw it as Google trying to differentiate this phone from the Nexus devices that had come before it, providing not just a stock Android experience, but stock Android along with some unique features that users would appreciate rather than see as bloatware. Soon we saw Motorola release a new line of products, the Droid Mini, Ultra, and Maxx. The general opinion of these phones is that they’re irrelevant, just as the majority of Motorola products have been since the original Droid launched in 2009. What was significant about this launch though, was that Motorola was touting their “new X8 chip”, which would clearly be the chip in the Moto X as well. They said these new Droids would be packing octa-core processors. This assertion left many experts confused and annoyed, wondering what chip this could possibly be. This sums up Motorola’s approach to core counting quite well. By now the Moto X had coalesced itself into something more concrete. We had all seen images of it in the wild, we knew the specifications, we knew the software features, we knew it would be available on multiple carriers, and we were pretty certain we knew the price. We knew the specifications were a dual core Snapdragon S4 at 1.7 GHz with an Adreno 320 GPU, a 4.7” AMOLED 720p screen using “Magic Glass” (which is Gorilla Glass that wraps around the side of the phone without any gap), 2 GB of RAM, a 10MP rear camera, a 2MP front camera, Bluetooth 4.0, NFC, 802.11a/g/b/n/ac dual band WiFi, 4G LTE, and would be available in a 16GB and 32GB variants. We knew the software. It would be running Android 4.2 (which seemed a little strange considering that Google had just released Android 4.3, you would expect that a “Google Phone” would be running the latest version of Android. This should have been another red flag.) It would have Google Now (voice activation), Active Display, Motorola Connect, Motorola Migrate, and Motorola Assist, as well as some extra camera features not present on stock Android. We knew it would be available on the five major US carriers: AT&T, Sprint, US Cellular, Verizon Wireless, and T-Mobile. We were fairly sure that based on Google’s pricing on Nexus phones as well as from the middling specifications of the Moto X that it would probably be priced around $300 off-contract. The majority of news outlets and analysts appeared to share that view as well. August 1st finally arrived. As a result, on August 2nd – I bought myself a replacement Droid 4. You might be asking yourselves why I would spend $190 on a phone that is a year and a half old. The reason is simple – the Moto X is a complete disaster. The phone was officially “released” on August 1st to all major carriers. What this meant was that the phone would start seeing availability around the end of August/beginning of September. We were told that the 16 GB model would be $199 on-contract, and that the 32 GB model would be $249 on-contract. However, the kicker is that the 32 GB model will only be available on AT&T at first, and the customizable colors for the phone would initially only be available for AT&T customers. While we didn’t immediately know what the off-contract pricing for the phone would be, one thing was clear: it would be expensive. 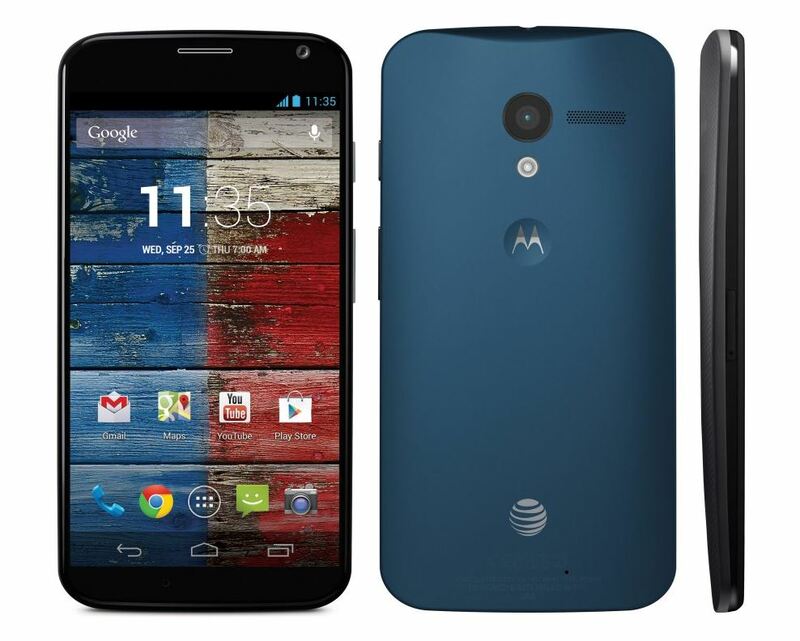 This meant Google + Motorola expected the Moto X would compete as a high end phone. Our fears were confirmed when AT&T stated the off-contract price for the Moto X would be $575 for the 16 GB version, and $630 for the 32 GB version. To put this in perspective, the Google Edition HTC One is currently available in the Google Play store for $600. The HTC One has the same sized screen as the Moto X with a better resolution, a better CPU, a slightly larger battery, and comes standard with 32 GB of storage space. It was bad enough that Google and Motorola thought they could sell this mid-range device at a high-end price, as well as snubbing anyone not on AT&T, but what was bad soon became worse. We found out that the Moto X would come with carrier bloatware and a locked bootloader. Motorola has been releasing phones with locked bootloaders for a long time, but we expected that Google’s influence would prevent them from doing something so blatantly restrictive. We have since discovered that the Moto X sold for Sprint, T-Mobile, U.S. Cellular, and Rogers networks would come with the bootloader locked, but would have an unlocker tool provided by Motorola for the customer to use. Obviously missing from that list are Verizon, and Google + Motorola’s preferred carrier: AT&T. This is because Verizon and AT&T will only sell Moto X phones with locked bootloaders that cannot be unlocked until they release the “Developer Edition” of the phone. As we know, “Developer Editions” are never available at an on-contract price, so expect to pay $575+ for a Moto X with an unlocked bootloader. To sum up the current situation, what you’re looking at is a phone with mediocre specifications, a locked bootloader, carrier bloatware included, with no expandable storage, and no sufficient storage option on any carrier except AT&T, at the highest possible price point for a phone: $200-$250 on-contract, $575-$700 off-contract (Best Buy will be selling the Moto X at $700 off-contract). This is especially ludicrous when considering that this month, LG will be releasing the G2 that comes packed with a Snapdragon 800 quad core processor that exists in an entirely different league of performance from the Snapdragon S4. What makes this situation even more laughable is that the G2 will be priced similarly to the Moto X. Why anyone would even consider the Moto X as an option at that point is beyond my comprehension. Soon afterwards, Google announced they would be releasing a Google Play Edition of the phone which comes with stock Android. This raises the obvious question of why Google needs to release a Google Play Edition of a phone they created. The Moto X should have provided a Google experience to begin with; they shouldn’t have to release a Google edition of a Google phone. The one shred of hope that exists in this news is the very slim chance that the Google Play Edition will release at a reasonable price point (around $300). If that’s the case, it will be the only chance the Moto X has at achieving any sort of success. However, I seriously doubt Google will do something that intelligent given how completely disastrous the Moto X has been thus far. For those of you that chose not to read the rest of this article, this nugget of advice should be all you need: If you’re considering buying a Moto X, don’t. If you want to spend $200 on an on-contract device and can’t wait for something new to come out, buy a Galaxy S4 or an HTC One. If you want to spend $600 on an off-contract device and can’t wait for something new to come out, buy a Google Play Edition Galaxy S4 or HTC One. If you want to spend $200 on an on-contract device or $600 on an off-contract one, and you don’t mind waiting a bit, within the next couple months, you’ll see the release of various phones running Snapdragon 800 processors that will thoroughly embarrass the Moto X even more than the current crop of (months old) Snapdragon 600 based devices. Google and Motorola should be ashamed of themselves. When I began this article saying that I expected a Google product launch made by Motorola, but instead got a disastrous Motorola launch, it’s because I meant this: Motorola has long released products with mediocre specifications at stupidly high price points that come riddled with MotoBlur garbage, carrier bloatware, and locked bootloaders. They’ve tried to sell these devices by using misleading marketing for years; this “X8 eight-core chip” nonsense is something right out of their standard playbook. This type of product release is exactly what I would have expected from Motorola, but not what I would have expected from Google. I thought that by acquiring Motorola Mobility, Google would turn it into a subsidiary that would churn out products that Google would be proud of. 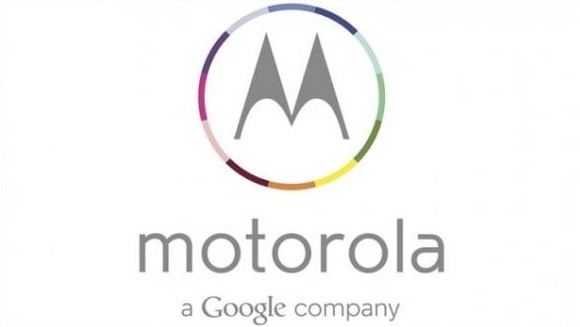 Instead we’ve been presented with more of the same Motorola crap that now comes with the Google stamp of approval. Proof of this approval is that Google will supposedly be spending $500mil on advertising this abomination. I hope that sales are nonexistent, and that Google burns through that $500mil with no result. I want the market to brutally punish Google and Motorola for trying to peddle garbage at luxury pricing. They’ve clearly taken a page out of Apple’s book, and it disgusts me. I would call for a boycott of the Moto X, but it shouldn’t be necessary; after all, people should only buy decent phones to begin with, so the Moto X shouldn’t even be on the list of possible options. If we at Bright Side of News had an award for products that should never even be considered for purchase, the Moto X would be a clear winner. PS. For anyone wondering why I decided to buy a replacement Droid 4, which is both 1.5 years old as well as a Motorola device, the answer is simple: physical keyboards are awesome. They provide accurate, tactile feedback that is completely unmatched by the software keyboards available on smartphones today (but that’s an article for another day). In any case, I manage by rooting the phone and replacing the ROM (thanks to the awesome hackers on the XDA Dev forums) thereby eradicating as much of the Motorola crapware as I can. Had the Moto X included a physical keyboard, it would have given them a differentiator more substantial than some ridiculous color customizations. If you want me to even think about trading away my physical keyboard, you’ll have to do a lot better than the Moto X.